I’m back again with another dose of arts and culture in Sunderland, and this time I’m talking about The Fire Station. If you’re an avid reader, you’ll know that last year I was selected to be one of Sunderland’s Community Champions, which is a role I’ve taken pretty seriously. During this role I’ve become a real advocate for the arts and culture projects and community-led initiatives taking place in the city. 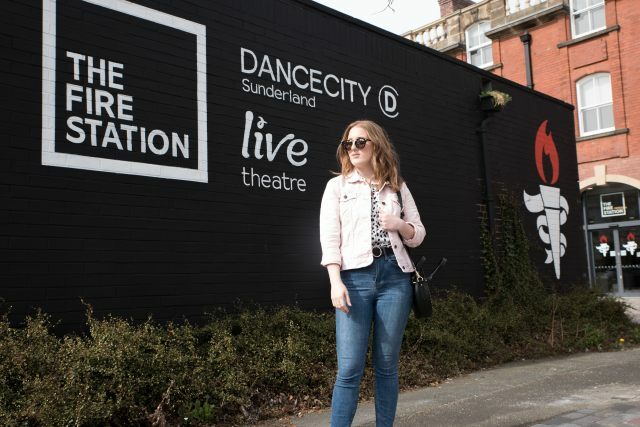 Having followed the National Lottery’s mini-series, Untold Stories: Sunderland, I discovered the Beacon of Light, which is the North East’s newest sports, health, education and events venue. And today I’m here to share with you the project behind The Fire Station. Now, I’ve previously visited The Fire Station during Sunderland Restaurant Week, but I’ve come to find it’s so much more than a bar and eatery. Originally built in 1907, the Old Fire Station had been deteriorating and vacant for the past 25 years. With £2.5million of investment from the Heritage Lottery Fund (with a further £1.7 million from Sunderland City Council, MAC Trust and private contributions), The Fire Station is now part of a new cultural quarter in Sunderland city centre. Through this funding, our community within Sunderland were able to restore this old building and give it a new lease of life. The Fire Station now houses a rich collection of features that revive the area into an artistic and cultural hub, including a dance studio, theatre space and exhibition space focusing on firefighting and the history of the building. They also have a programme that really interests me; the Live Tales @ The Fire Station programme. This project aims to allow teachers and children to explore creative writing from a new perspective. Through a mixture of drama and writing activities, classes will collaborate to create a completely original story, where each child continues the story individually and receives an illustrated storybook to complete at school. Being a journalist, content creator and dancer, I personally think this programme is a fantastic idea and a brilliant way of getting children involved with the arts at such a young age. It was such an amazing opportunity to collaborate with the National Lottery on their #UntoldStories series and learn about all the amazing projects taking place is Sunderland. Which project from the mini-series will you be visiting? It sounds fab! I live local so I need to get myself to more places.